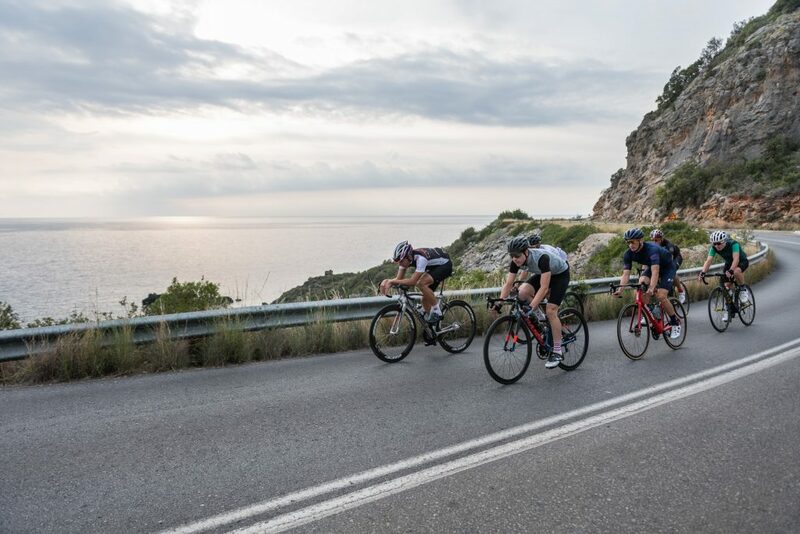 Our killer classic 3-day tour culminating in the epic Mani 200 – a 200km single day of epic climbs and enormous views on a dawn-to-dusk ride up and down the Mani peninsula. This tour is our genesis, the raw and epic power of the Mani landscape, hitting all our favourite spots along the way. This is Greece’s answer to Big Sur, but more extreme and with barely a car on the roads let alone other riders. We start in Sparta – which is fitting for this epic ride – and head out for our warm-up day with 100km of mountain gorges and cols. As we get to our summit on day 1 you’ll get those first sea views down to the Aegean. Day 2 is our big day – a 200km dawn-to-dusk ride we call the #Mani200. 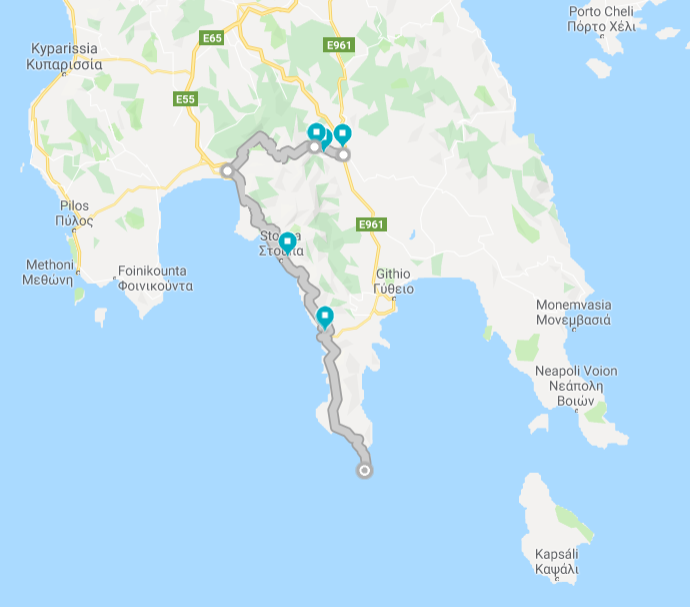 We snake and climb up and down the mountain along the spine of the Mani peninsula, hit the coast road and head all the way down to the far Southern tip of mainland Greece – Tenaro – the mythical home of Hades at the end of the earth. Expect to go from beach weather to black clouds and back, to windswept mountain tops to tavernas on the beach, all in one day. Day 3 is our chillout and warm down, a quick swim in the sea before breakfast and then back through the mountains. We’ve got a lot of connections to this little bit of the world, and this is the best way we could think of to showcase everything that Pedal Greece stands for in a long weekend. We’ll take you to secret spots, the best food and the biggest views, and treat you to a truly epic ride. It’s tough but totally worth it. We’d recommend a high level of fitness and strong climbers.